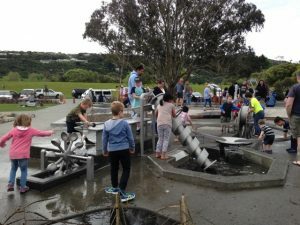 Opening in late 2016 after a major upgrade (that has seen only 2 pieces of ‘old’ equipment remaining), Avalon Playground now boasts some of the most diverse and interesting equipment of any playground in the Wellington region. Equipment is spread out over quite a wide area making keeping track of several kids difficult. If you have older kids that are able to mostly supervise themselves, I’d suggest telling them where you’re going to sit and let them come to you if they need to. For younger kids, there is a section (closest to the trains) which has equipment better suited to those around 6 years and under, so you might want to steer them towards this area if you’re trying to supervise more than one child. Water features in one area and there is no fencing between the road and playground (the roads are all service roads for playground car parking but even so, a child likely to bolt will need to be carefully watched). It’s a popular playground too, so even if you only have one child to watch, keeping track of them can prove tricky! Equipment available: a series of green structures with ropes for climbing up and along and swinging off and on; rock climbing walls with tunnels going through them; 2 flying foxes; tube slides; a spacenet; a series of water ways with dams and water wheels which kids can open/close and turn to control the water; a sound area with musical drums and listening tubes; swings (although not many!) – 2 regular, 2 bucket and just one toddler swing! Also aimed at smaller kids, there’s a sand area with digger and sand table and a mini slide, seesaw, rocking chairs, a rope climbing ladder. TOP TIPS: to more easily spot your child, have them wear something bright! Arrange a meeting place, if you lose each other. Take a change of clothes if your child likes water as there’s definitely a good chance they’ll get wet if they spend much time around the water play area. Think about taking an extra adult with you to help you supervise multiple kids, especially preschoolers. Also at this playground, there’s a great mini road system, worth taking bikes or scooters for; a Lion’s train operating at the weekends and school holidays; ducks in an unfenced pond which also now has paddle boats operating; a skatepark area. This playground is set within a huge area of park so lots of space for running around, kicking a ball, picnics etc. There’s no shade over the equipment or seating in the playground but lots of old trees in the areas that haven’t been upgraded. There are toilets near the pavilion buildings. 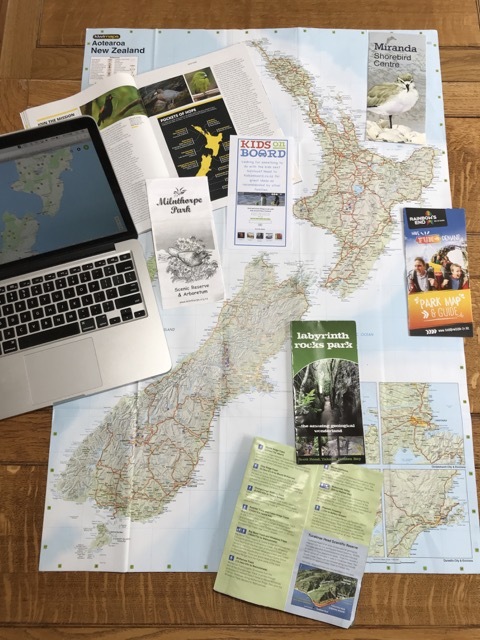 Address: Taita Drive, Avalon, Lower Hutt. 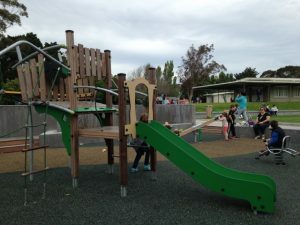 Car parking options off Fairway Drive (closest to the skatepark and pond area) and off Taita Drive both near the Avalon Pavillion and further on to go right round to the bike park and far side of the playground.